Alex Challis is Postgraduate Research Student and Research Manager at QMUL’s School of Politics and International Relations and responded to Piirus’ recent survey. 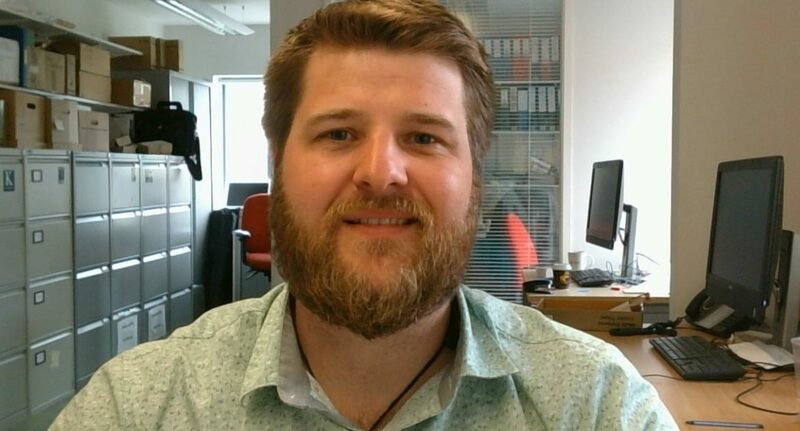 Alex previously worked as a Research Administrator in the Department of Media and Communications at the LSE for two and a half years and has also worked at the Universities of Auckland and Otago in New Zealand, and the University of Southampton. He also acts as the School liaison with the Library regarding deposits of academic publications in QMUL’s research repository, and this is a current priority, in readiness for the REF in 2020. I am still relatively new to the role in the grand scheme of things, but I really enjoy seeking out prospective research opportunities for staff who wish to make research grant applications and then assisting them with the budget costings, providing advice on information that funders are looking for, and anything else that they are unsure of prior to submission. I want us in the School to get to the point where we can develop research ideas and project outlines to approach potential external funders, rather than just responding to specific calls from Research councils and charities. It’s a long-term goal, but one I hope that will, in time, be possible. Having and making enough time to do everything! As I say, the role is a relatively new one and I am very much learning ‘on the job’ as it were and has two distinct strands, namely 1) Research Student and 2) Academic Research Administration. The ability to work seamlessly between these two strands given multiple deadlines can be very challenging at times, especially during term time. How important are building relationships to your role? Do you see this importance growing in the evolving research funding landscape? Incredibly important. I think the days of academics working on their research in isolation are rapidly diminishing, certainly in terms of big research grants, which are multi-partner and increasingly of a multi-disciplinary nature. From my own perspective as someone whose duties support research at a School/Department level, being members of associations such as ARMA and EARMA are beneficial in terms of training and collaboration with colleagues who are doing similar roles at other institutions. Any other thoughts for us? I think any tool that allows researchers to look for those who are doing similar research to themselves, with a view to potential collaboration can only be positive if marketed in the appropriate way and the benefits of using such a tool were immediately obvious. Ideally, I would either be reading, walking or the latter followed by the former in an independent coffee shop, preferably outside. Having lived for a period of time in New Zealand, I have come to appreciate the power and pleasure of a top-notch flat white! However, the indulgence of such pleasures has meant that I am now currently giving the 5:2 diet a go. The diet is tough on the 2 days where I limit myself to 600 calories, but I am starting to see the results, which will hopefully culminate in me losing enough weight so that I can start training for a 10k later in the year. Wish me luck! I also enjoying watching Rugby (my playing days are over), and watching and trying to play Cricket. Thanks Alex Challis, for sharing your perspectives with us!